On our way Westward for a long weekend! Outside our air bnb in the Mount Tabor neighborhood in Portland. Ready with a half empty suitcase to bring home lots of Oregon goodies. Not only has Portland, OR been on my list for a long time but after pharmacy school one of my good friends relocated there for residency training and loved it so much she stayed! Perfect reason to make the trip. We arrived early Friday evening, it took all of 2 seconds to make our way through the airport and to our rental car, and soon enough we were on the road headed for our Airbnb, a quick 15 minute drive away. We booked a rental 5 minutes from our friend's house in the Mount Tabor neighborhood of Portland. The neighborhood surrounds Mount Tabor Park and our Airbnb was less than a 5 minute walk into the park. Mt. Tabor is an inactive volcano and provided a quick easy hike/uphill run for our early mornings. Chris used to work for Hyatt Hotels, so for a decade we traveled and stayed for free in Hyatts (I know, champagne problem), it was amazing, but honestly we love staying as local as possible to get the real vibe of the city. After settling in we drove over to visit with our friends, meet their new baby, and then headed to dinner at The Observatory in the Montavilla neighborhood of Portland. Unfortunately (or fortunately) Chris and I have pretty set internal clocks. On a normal workday Chris is up by 4 or 430 am and my alarm goes off at 5:30 am...sooooo.....the next morning in Portland we were wide awake at 3:50 am. On the nose. Every day. The best part of our Airbnb was the owner provided a French Press and a regular coffee pot with local coffee specifically ground for each. After a couple cups of french press coffee and some Madam Secretary episodes on Netflix it finally became an acceptable time to start our day and we headed out for a run/hike/lots of pictures in Mount Tabor Park. The weather was perfectly chilly and I officially decided October in Portland is my favorite. Nestled around the corner from the park, and our apartment for the weekend, was Coquine- one of the best restaurants in the city. We headed straight there postrun for breakfast and then had a leisurley walk home to get ready for our day down in Williamete Valley. Here in Saint Louis we usually attend a monthly wine class, so we reached out to the sommelier before our trip who provided us several recommendations of wineries to visit. Our first stop on his recommendation list was Domaine Drouhin. The winery was so beautiful, we decided to drop our other spots for the morning and enjoy our time relaxing on their tasting deck sampling our way through their wines. After finishing out our morning on their deck we headed back into the town of Dundee to Red Hills Market for lunch; recommended by our friends. We went at prime time, on a Saturday, and thus the line was out the door. It moved fairly quickly and the food was the worth the wait - local albacore tuna! Insert all the heart eye emojis! Post lunch we drove over to Bergstrom's where our friends are club members. We spent 3 to 4 hours on the tasting deck and had the BEST time. We may have only made it to two wineries that day, but it was well worth it to be able to relax and soak in the atmosphere at the individual wineries. Once the winery closed up we headed over to Wolves and People Brewery which Chris loved (I'm not a beer person), but the atmosphere was adorable. We ended up having dinner in Willamette Valley at Ruddick/Wood. It was good, not great. A decent option if you're in the area (and like we were, starving) but next time I'd probably bring snacks and make the drive back to Portland for their excellent restaurant selection. The next morning, despite a much later bedtime, we were still wide awake at 3:50 am. After another early morning of french press coffee and Netflix we waited until 6:30 am and headed out to Groundwork coffee for coffee and breakfast. There is no shortage of fantastic coffee shops in Portland, I swear there must be an amazing local coffee shop on every corner. I came back very dehydrated from this trip between all the wine and coffee. After breakfast we drove out to the Oregon Coast. It was a quick 90 minutes and gorgeous the whole way. Our first stop was Cannon Beach. 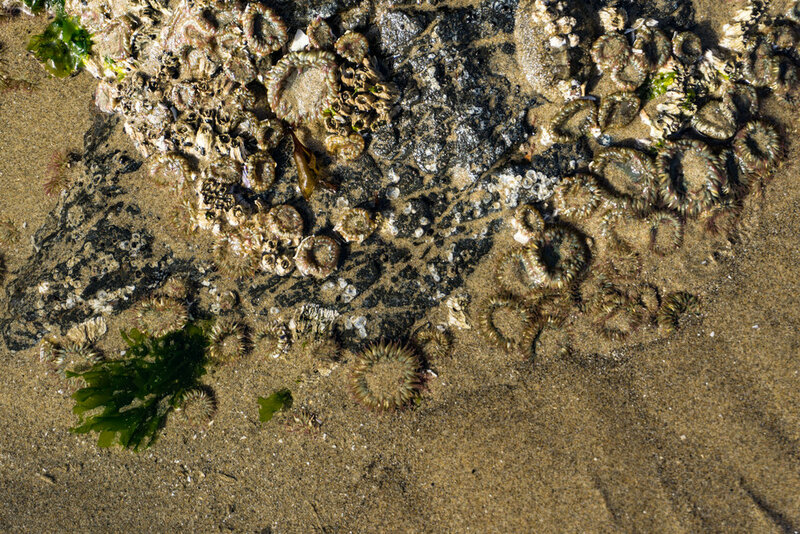 We arrived at low tide - which was my primary objective as I wanted to explore and see all the creatures in the tide pools. For those visiting, you can checkout the Tide Charts for the beach to determine the times of low tide. Next we began our scenic drive down 101 to Tillamook. Initially we discussed hiking, our friends gave us some great trail recommendations, but in the end we decided against it because we wanted to arrive back in Portland at a decent time. Per my usual thorough food research, I discovered some articles written up about a local food truck called Sea Baron Fish and Chips. Let me tell you, it's one of the better decisions I've ever made in life. We both agreed this was probably the best fish and chips we've ever had. We had the halibut which had been caught that morning. We ordered way too much but we didn't care and enjoyed sitting out at the picnic table enjoying the fall temperatures and ocean breezes. We decided to head back but only after stopping at the Tillamook Cheese factory to sample some cheese and get some ice cream. We were pretty wiped after two early mornings and knew we wanted to call it an early night. 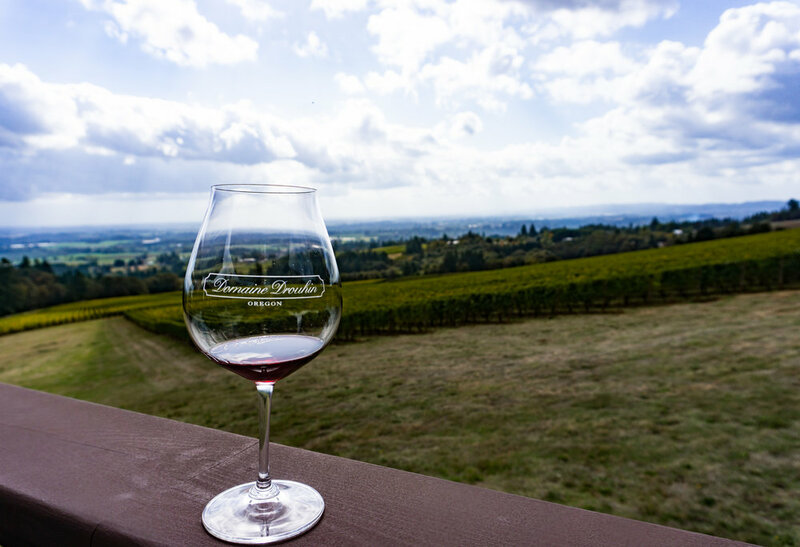 We stopped by a local wine shop and picked up a few bottles of Oregon wine, placed a future pickup order for Apizza Scholls, and then headed to Belmont Station to sample some beers and cider with our friends. Chris loved this place and had we not already had pizza plans, there were food trucks out back. Apizza Scholls is ranked as one of the top pizza restaurants in Portland, and one of the top 5 pizzerias in America. In full disclosure, it was really good but Chris was definitely annoyed by their particulars when it comes to ordering. May not be everyone's cup of tea. Regardless, it was a great evening in our airbnb with delcious pizza, wine, netflix, and a really early bedtime. For our last full day in Portland we were hoping to hike in the Columbia Gorge and see some waterfalls. Unfortunately, pretty much all the trails were still closed from the fires. After debating between driving up to Washington state or driving down to Salem for hiking, we made a last minute decision to book a cycling tour through downtown Portland. Our entire trip so far had been spent in bicycle withdrawal as we saw so many people biking. We had spent all our time out in the neighborhoods and taking day trips, this was a fun way to see the downtown. Before cycling we had breakfast at Cafe Broder, a Scandinavian restaurant. It was SO good and I'll definitely be going again next time we're in town. We arrived at the cycle shop and found out it would be a private tour as we were the only ones booked! The weather was again perfect. The tour lasted 2 hours and we had a great time. Afterwards we hit up Powell Books (because how could you not) and then headed back to our apartment. After getting ready we hit up a cheese bar and a few local distilleries. Dinner was our big event that day. While St. Louis has an excellent food scene, it lacks a really good authentic Spanish tapas restaurant. Because our food is so good here in St. Louis, I knew I wanted to focus my eating in Portland on two things I can't get here: super fresh seafood and Spanish tapas. Portland has a few options for Spanish tapas including Toro Bravo, which is ranked one of the best Spanish tapas restaurants in America, so we had to go. The service and food were both excellent and I'm so glad we included it in our plans, even if it meant lining up at 4:45 pm for a table because they don't take reservations! Cafe Broder on SE Clinton St. The Broder Bord- brown bread, rye crisp, smoked trout, hard boiled egg, firm & soft cheese, yogurt-granola parfait, the daily side (in this case a potato salmon dish) and a sweet treat. A little taste of everything!